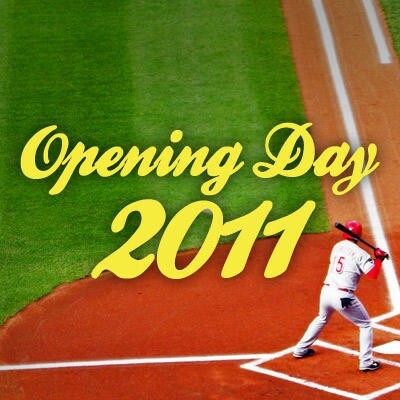 TechnoBaseball: Geeks Celebrate Opening Day! Happy Major League Baseball Opening Day. While not everyone out there is a baseball fan, or cares at all about the difference between a "suicide squeeze" and "twi-night doubleheader," we all love our tech. And nothing says love like a day's worth of themed content to celebrate Our National Pastime (™). Plus, opening day means spring and spring means all kinds of awesome from love being in bloom to shorts coming out of moth balls to skipping work and school to go ride rollercoasters and get sick on cotton candy. So Happy Spring! Um, I mean, Opening Day! In celebration we'll be running a handful of Baseball-meets-Technology articles throughout the day today. Look for them on the site and on our Twitter and Facebook feeds, and bookmark this page if you like as we'll be updating it with each of the day's MLB-themed posts. In the meantime, use the comments on this post as an open thread to let us know what you think of the whole "themed content" idea, especially if you have a neat idea like, "Run a bunch of Tech-meets-Groundhog Day posts next year!" Oh, and feel free to drop your World Series picks in the comments, too. Me, I'm goin' with the totally out of nowhere call of Giants vs A's Bay Area Series. Mainly because I live in the Bay Area and don't know much about baseball.